Hi everyone! So yesterday I was in need of a brow wax at Ulta and somehow came back with all of this..oops. 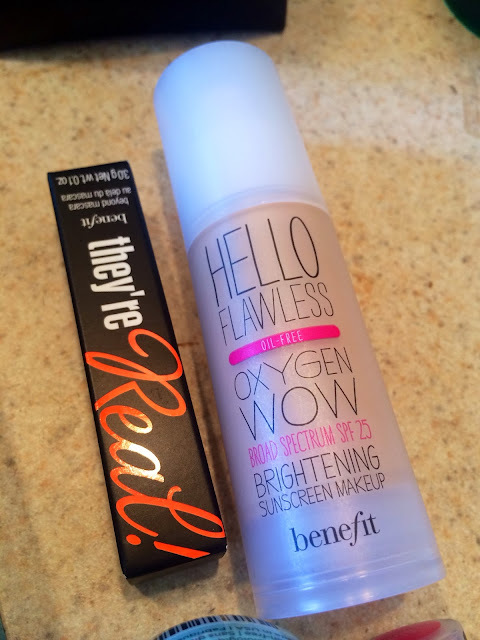 I really did need a new powder and foundation so I wanted to try out the above Benefit products. 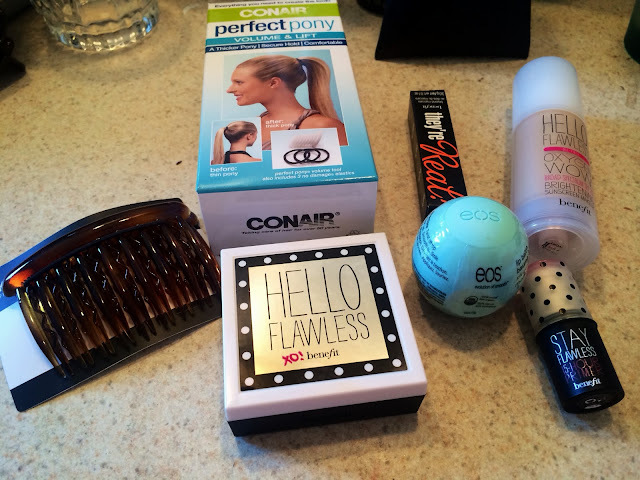 All of these items came from Ulta, but I went ahead and linked the Benefit things to the site. I wasn't expecting to come back with any hair accessories, but I wanted to try this Perfect Pony out. It's suppose to give you ponytail a thicker more dramatic look. I LOVE big hair so we will see how this works. 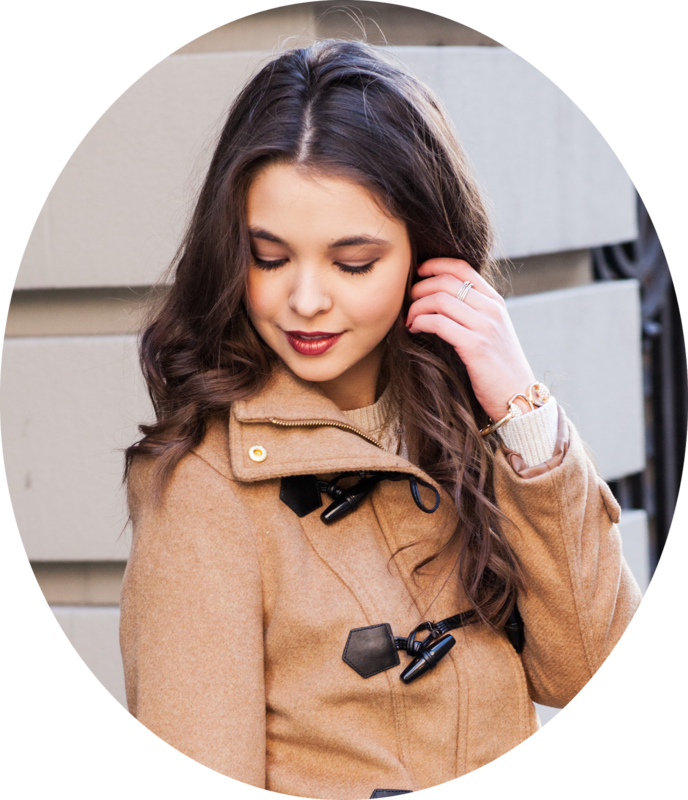 I've also been trying to master the old hollywood hair look (similar to below) and I was thinking I could use one of the Karina pins to pin my hair back, besides using a bobby pin. Now who doesn't love those little EOS eggs? They are my favorite! I had the fruit punch before but this sweet mint flavor literally tastes like the sweet mint gum..so therefore I like it. 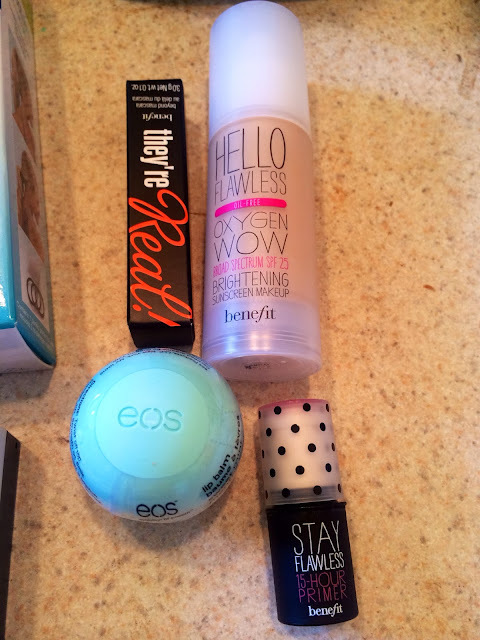 The mascara and primer were free sample gifts with my purchase. I don't really use a facial primer but I'm willing to give this one a try. 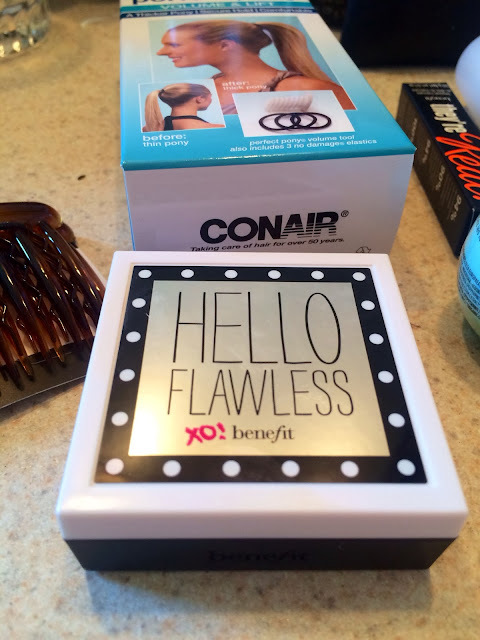 I'm sure it will be handy in the hot summers..no one wants a makeup melt. Also, Benefit does have a really great mascara...the They're Real mascara gives you a false long lash look. I think it's a little pricy, but I always love getting the samples. Both foundation and powder seem to have great coverage and set nicely. As far as colors, the foundation is in Ivory and the powder is in Honey. My skin is still light from my lack of sun (saddd) so I went lighter this time. When I have a bit more color I'll add some bronzer to my makeup mix. Before I was using the Amazonian Clay Foundation by Tarte. 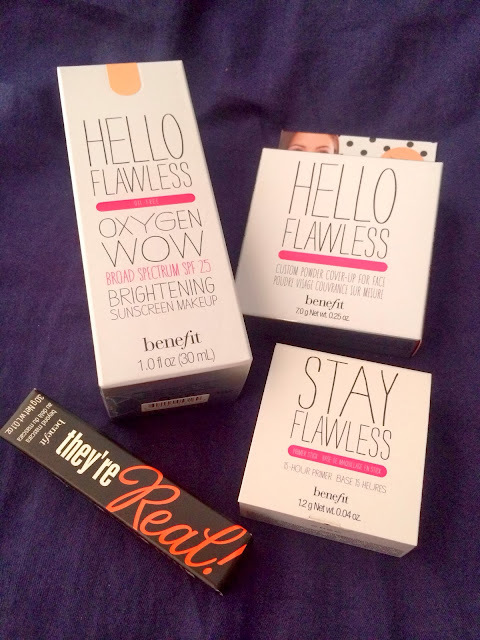 I loved it but I just wanted to give Benefit a try. So far my skin is smooth and light...not cakey or anything like that. I guess that's why these are some of Benefit's best sellers. Oh gosh you are gorgeous. Perfect make up. Thank you! 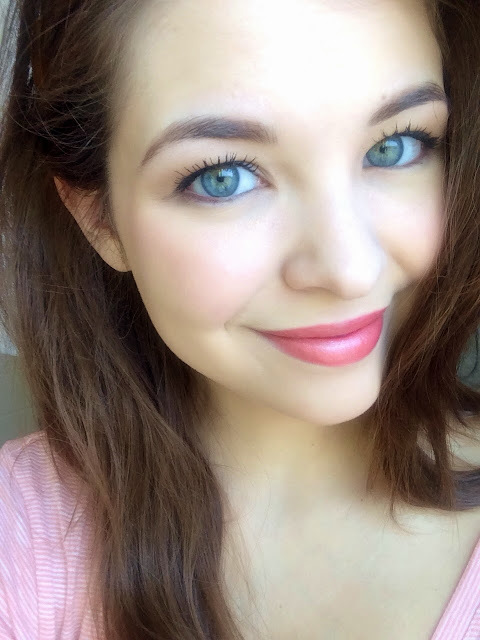 I really do love this makeup, it looks so smooth :) You have a great blog, following.